Reboot pop-up store is a Hanukkah happy place in S.F. – J.
Reboot pop-up store is a Hanukkah happy place in S.F. Tanya Schevitz has been bustling around more than usual these days, putting the finishing touches on a pop-up Hanukkah shop. It’s the third year that Reboot has produced the event, this time filling a Church Street storefront with toys and gifts and the sounds of happy holiday gatherings. The shop will be open for business every day from Nov. 28 to Dec. 7. While shoppers can see the products online at rebootshop.org, they will have to show up in person to enjoy the live experiences Reboot has scheduled, including Hanukkah-themed activities for children and adults. “More than a place to shop, we’re creating a place to gather. It may not be the most important holiday religiously, but Hanukkah is a time for family and celebration and community,” Schevitz said. The overall purpose of Reboot as an organization is to bring people together to explore new, forward-thinking ways of exploring Jewish culture and tradition, according to the website. The shop opens for business at 10 a.m. Wednesday, Nov. 28, with the first public event scheduled on Friday, Nov. 30, when Sara Linden Levy leads mahjong games from 1 to 3 p.m., including tea and treats. That evening at 8 p.m., a young adult cocktail party will be presented by Congregation Sha’ar Zahav and Reboot. 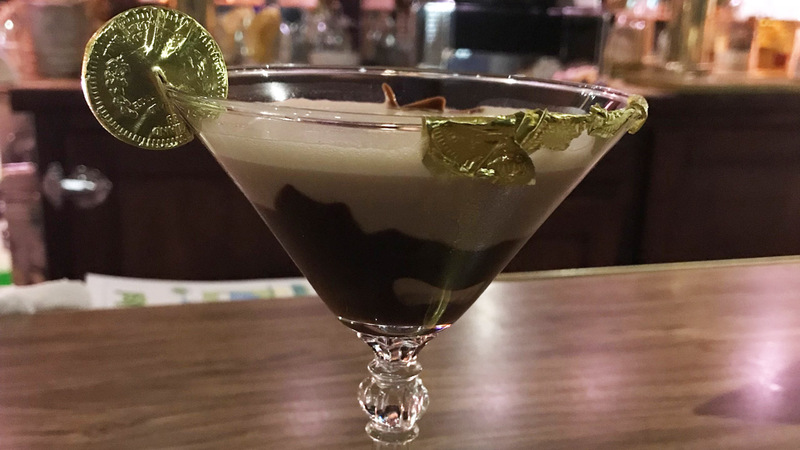 Reboot’s special “Geltini”(a chocolate martini adorned with gold-foiled gelt) will be available for participants as they craft Hanukkah ornaments. More than a place to shop, we’re creating a place to gather. Things get started early on Saturday, Dec. 1 with an 8:30 a.m. movement and meditation session, “Warrior Training,” led by staff of At the Well, a women’s wellness and Jewish spirituality organization. After the session, participants can enjoy nourishing smoothies. “Light It Up,” at 6 p.m. Dec. 1, is an olive-oil tasting event especially for young adults. 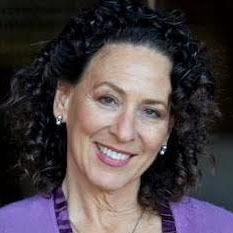 Noting that traditional menorahs used olive oil with wicks instead of candles, Reboot designed the teaching and tasting in collaboration with Sherith Israel Rabbi Jessica Zimmerman-Graf. A family Hanukkah party will take place from noon to 4:30 p.m. Sunday, Dec. 2 with music, crafts, menorah-making and holiday snacks. Zimmerman-Graf will lead the group menorah lighting. An evening highlight of Hanukkah week will be “Gelty Pleasures,” from 6 to 8 p.m. Tuesday, Dec. 4. Reboot will host this alternative Christmas party sing-along with musician and entrepreneur Sharky Laguana of the band Creeper Lagoon, featuring popular Hanukkah songs and famous Christmas tunes by Jewish writers and singers. Reboot staff will serve up Geltini cocktails. The event is free, but RSVP at rboot.us/2QKsq04. After holding a public menorah lighting in the Castro on Wednesday, Dec. 5, Reboot and Congregation Sha’ar Zahav will put on an after-party from 7 to 9 p.m. with wine, snacks, and free bookbinding and eco-gift wrapping workshops. Throughout the week, children can entertain themselves in the PJ Library reading nook and do craft activities while their parents shop. Reboot Hanukkah Pop-Up Shop. 214 Church St., S.F. Open daily Nov. 28 to Dec. 7 from 10 a.m. to 6 p.m., or later for scheduled events. Serve on the rocks or shake and strain and serve in a martini glass. Serve with a gold-foiled chocolate gelt coin on rim.